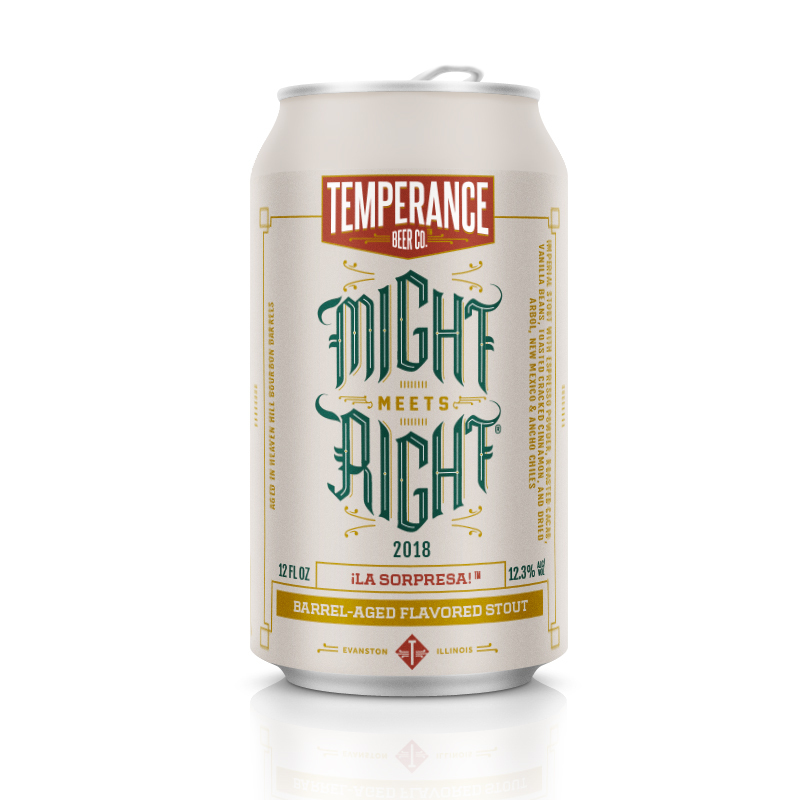 Barrel-Aged Might Meets Right® (¡La Sorpresa!) — Temperance Beer Co. The 2018 ¡La Sorpresa! Might Meets Right was aged in Heaven Hill bourbon barrels for 10 months with a myriad of ingredients like roasted cacao, toasted cinnamon, vanilla beans and three types of chili - Ancho, New Mexico and Árbol - to give this variant a satisfying kick of heat. 12.3% alc/vol.